Calciject 40cm No5 - 400ml. 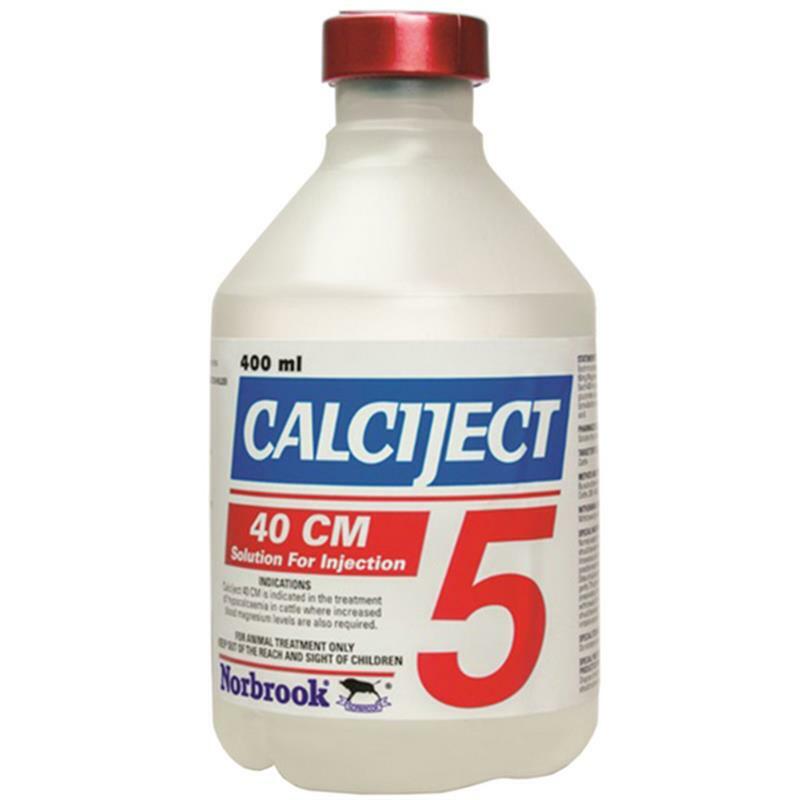 Calciject 40CM is indicated in the treatment of hypocalcaemia in cattle where increased blood magnesium levels are also required. Dosage and Administration: By subcutaneous or slow intravenous injection.